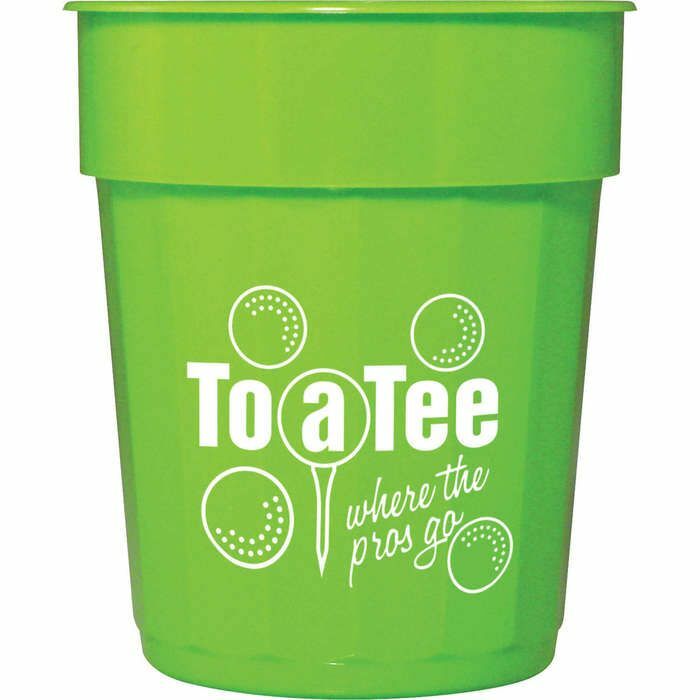 16-ounce fluted stadium cup comes in a wide variety of solid colors. BPA-free. Meets FDA Requirements. Cup also available in clear and translucent colors. Production Time 1 work day for 1-color prints; Production time calculates after virtual proof approvals.